Two estranged sisters come together to fight gentrification in Tanya Saracho's lively series. Of course, none of these are massive hits. “Ash” is easily the most successful, given that it’s still on the air, but all three (not to mention “Party Down”) earned strong reviews and certainly had anyone who did tune in talking. They’re provocative shows built to stand out in a crowded TV landscape. “Vida” proudly continues the positive tradition and can hopefully overcome that other one. 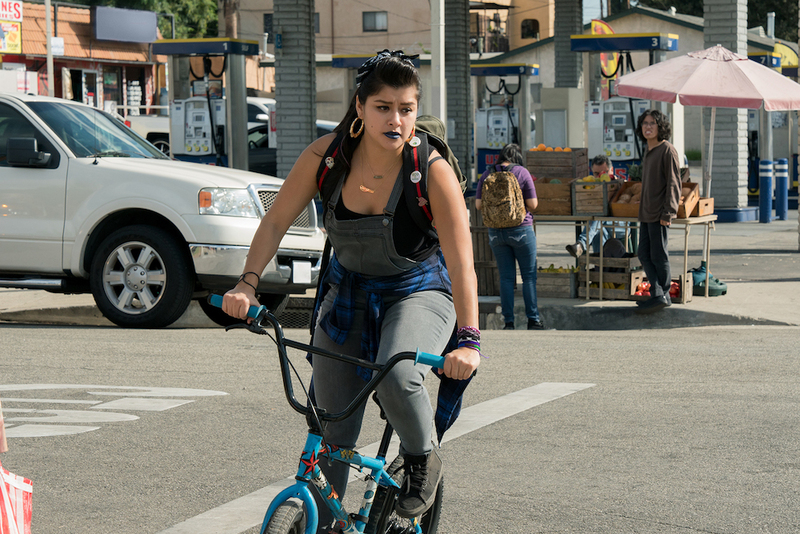 Through two episodes, Tanya Saracho’s half-hour drama-comedy combo has a loud, clear voice brought out by a talented all-hispanic cast of Latinx characters. It’s about family, romance, careers, growing up, death, and so much more, all from a distinct viewpoint — which is fitting, given the all-encompassing implication of its title (the English translation for “vida” is “life”). All that’s to say the series could go anywhere, but it’s off to a good start in the first hour. Living in East Los Angeles, Lyn (Melissa Barrera), Emma (Mishel Prada), and the rest of the community are boldly fighting against neighborhood gentrification (as well as internal conformity) to preserve their culture and way of life. If that macro vision piques your interest, the micro is far more relatable. Lyn and Emma are estranged sisters brought up under the same roof but who grew up to lead very different lives. Emma moved to Chicago, works a steady job, and lives a responsible life. Still living at home with their mother, Lyn loves to have a good time and isn’t above manipulating people (mainly men) to get what she wants. But when her mother collapses on the bathroom floor, the family is forced to make decisions as a unit. Not only do Emma and Lyn need to learn to work together, but there’s an unexpected third cog in the machine: Eddy (Ser Anzoategui) is their mother’s “roommate,” and she’s been helping run their bar, apartments, and home. With real estate developers swooping in to renovate (into God knows what), the three pseudo-family members have to decide how to best handle their inherited business — and honor the mother’s legacy. Even though it’s predominantly about two sisters, “Vida” starts on Mari (Chelsea Rendon), a young woman in the neighborhood who makes videos of herself standing up to the man. She urges people to action while noting how the city council ignores the locals’ cries. She spray paints white businesses that take over former Hispanic spaces. She’s developed quite a following online, and it’s clear why: Rendon is charismatic, which helps make some overt speechifying go down smoothly. “Vida” should never be lacking in things to say; it fires off socio-political commentary as fast as the quick-tempered Emma will come down on anyone who questions her heritage. Where it decides to take these characters and how well it continues to balance its broader messages with personal connections will ultimately decide if it can make itself heard in a crowded TV market. But the series isn’t a huge investment. The first season is only six episodes, and — even with aesthetically honest, sun-drenched direction from Alonso Ruizpalacios — the vivid production shouldn’t be that expensive. Starz may have another buzzworthy, hard-to-define half-hour series on its hands. So far, this one deserves a longer life. “Vida” premiered at the SXSW Film Festival. Season 1 premieres Sunday, May 6 on Starz.